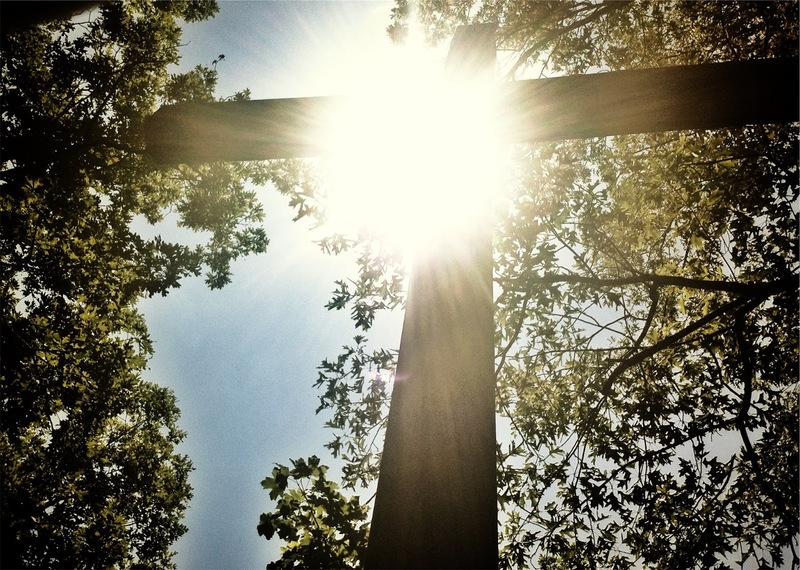 On Daily Communion (Part 3): Why Wouldn’t You Want to Encounter Jesus Every Day? Matthew Henry, the Puritan pastor (whose Bible commentary is still so famous and frequently used all these centuries later), wanted people to remember that the Lord’s Supper is much more than a proclamation of Christ’s death. ‘Here are not only gospel truths represented to us, and confessed by us; but gospel benefits are offered to us, and accepted by us’ (Matthew Henry, The Communicant’s Companion, 54). This is what John Wesley was getting at as well when he wrote about the ‘so great’ benefits of constant Communion. For, in the Breaking of Bread, Matthew Henry reminds us, ‘God … not only assures us of the truth of the promise, but, according to our present case and capacity, conveys to us, by His Spirit, the good things promised.’ And so, in the Supper, we ‘receive Christ Jesus the Lord, Christ and pardon, Christ and peace, Christ and grace, Christ and heaven.’ (Ibid. 55). Here are the Lord’s Table we feed upon Christ and all His benefits. For this bread is a participation in Christ’s body, and this cup is a participation in His blood (1 Cor. 10:16). And where Christ’s body and blood are, there He is. For Jesus hasn’t given up His body and blood. The Incarnation hasn’t come to an end. So, if at His Table we have communion in the body and blood of Christ, then at His Table we encounter the crucified and risen Lord. Christ doesn’t just suggest the possibility of His presence at His Table; He promises His presence there. His presence in the Supper isn’t conditional upon the size of the congregation, or the fervency of our prayers, or the skill of our musicians, but only upon His own Word and blessing. As we drink from Redemption’s cup. Fellowship with Christ, ‘tis bliss! Wonder of the Cross is this! Your grace keeps me day and night. Lord Jesus, I rejoice this morning that I am to go with other good Christians into Your house for Your great goodness to partake of Your body and blood with, in, and under the consecrated bread and wine. Oh, how my soul longs for the courts of the Lord and for Your holy altar! … Let Your grace, which is capable of all things, make me worthy and perfectly equipped, that the blessed food and drink of Your true body and blood may refresh my soul in the heavenly feast of love and joy! At His Table, Jesus meets with us, in all His grace and love and peace and joy. As Spurgeon put it, ‘the moments we are nearest to heaven are those we spend at the Lord’s table.’ So why wouldn’t you want to encounter Jesus like this every day? The gospel isn’t just for evangelism. Christians need the gospel too. And we need it each and every day. For the gospel isn’t just the way into the Christian life; it’s the foundation for every step of the Christian walk. Jerry Bridges has written of how Christians need to preach the gospel to themselves, which, he explains, ‘means that you continually face up to your own sinfulness and then flee to Jesus through faith in His shed blood and righteous life’ (Jerry Bridges, The Discipline of Grace, 58). And one of the ways we can do that is by coming to the Lord’s Table, where we examine ourselves, confess our sins, and rejoice with thanksgiving in the One who has saved us by His righteous life and shed blood in our place. Every time we come to the Breaking of Bread, we come ‘in remembrance’ of Christ (1 Cor. 11:24-25). Every time we partake of the Lord’s Supper, we ‘proclaim the Lord’s death till He comes’ (1 Cor. 11:26). So, at the sacrament, our attention is turned to Jesus and His saving work for us. At the Lord’s Table we remember ‘Jesus Christ, the Son of God’ who is Himself ‘the gospel’ – the good news (Mark 1:1)! In the Supper we proclaim Christ’s death, through which He has brought us ‘redemption through His blood, the forgiveness of sins’ (Eph. 1:7; Col. 1:14). We can’t truly have a Breaking of Bread without hearing the gospel: without hearing who Jesus is and what He has done for us and for our salvation. And so, every time we come to the Lord’s Table, we receive a gospel call to come to Jesus and taste afresh the joy and peace of full salvation in Him. As we proclaim the Lord’s death at His Table, we acknowledge our dependence upon Him and what He’s done for us, and our confidence in the Lamb who was slain for us and now lives. And so the Lord’s Table truly is a Eucharist – a Thanksgiving – because as we look to Christ and His Cross, how can we help but be filled with thankfulness for our Saviour and His atoning work! The proclamation of Christ’s death is not powerless. We’re not remembering a dead historical figure, but a risen and living Lord. And that living Lord is the one who unites us to Himself in His death and resurrection, that we might die to sin and live to righteousness. As John Wesley put it, ‘the grace of God given herein confirms to us the pardon of our sins by enabling us to leave them.’ (Wesley, The Duty of Constant Communion). The Lord’s Table calls us to confess our sins and receive Christ’s forgiveness. But Christ’s forgiving power is also transforming power. Jesus doesn’t hand out a bit of forgiveness here and a dash of transformation over there. No. He gives us Himself. And in Him we find true forgiveness which transforms. For Jesus Himself is our both our righteousness and our holiness – our justification and our sanctification. The Breaking of Bread as the holy of holies of Christian worship shows us over and over again that, ultimately, Christianity isn’t about us and what we’re doing for God, but about Jesus and what He has done for us. The more often we come to His Table, the more often we see that we come to our God only with empty hands, stretched out to receive His grace and mercy in Jesus, through His death in our place on the Cross. As we often sing, we are ‘prone to wander … prone to leave the God [we] love.’ Our attention is grasped by so many things which distract us from the beauty of Christ and the glory of His sacrifice for us. So each and every day we need the gospel, calling us back to Jesus, fixing our eyes on our Saviour, causing us to look away from our own works to His work. 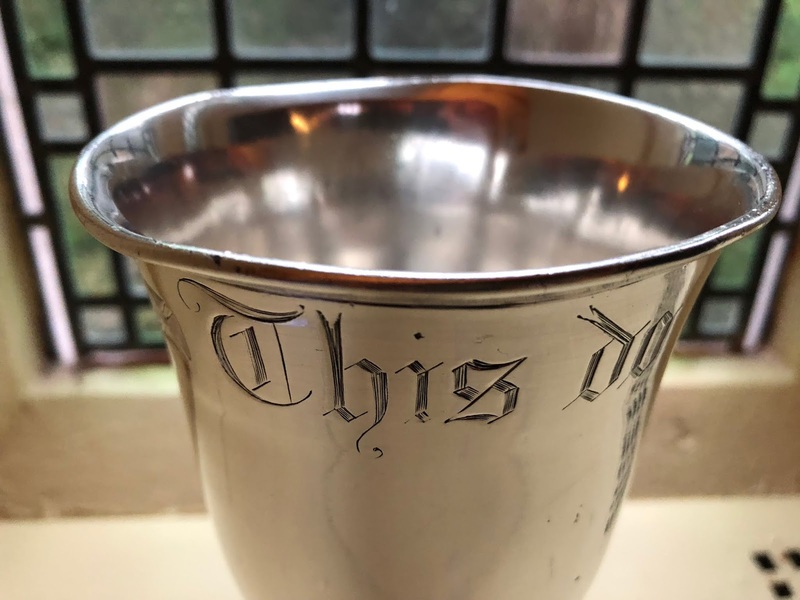 And so coming to this Gospel feast set out for us at the Lord’s Supper as often as we can, whether that’s every day (like in the college chapel) or every Lord’s Day (like in most Pentecostal churches), continually preaches this good news to us . Part 3: Why Wouldn't You Want to Encounter Jesus Every Day? For the last term in college, we’ve been doing something which some people love and others probably think is a strange eccentricity. Augustine of Hippo, Smith Wigglesworth, Symeon the New Theologian, Martin Luther’s Large Catechism, John Cosin, Cyprian of Carthage, Joseph Prince, and Basil the Great wouldn’t normally all make it into a list together, and yet they all advocate what these 21st Century Pentecostals are up to in a theological college in rural England. What might that be? Well, just in case you haven’t guessed from the title of the post, that would be celebrating the Lord’s Supper daily. So, throughout the history of the church – from the ancient church to the Reformation to the Evangelical Revival to the Pentecostal Revival to the present day – there has been a hunger in various places among God’s people to feast with Christ at His Table each day. Yet, daily Communion might seem a bit odd to many Christians today. So, in the next few blogposts, let me explain why it’s such a good thing. But today, let’s just start by seeing that it is in fact something good and biblical. Just after the Day of Pentecost, in the earliest days of the Christian church, the believers continued ‘daily with one accord in the temple, and breaking bread from house to house’ (Acts 2:46). Later in the book of Acts, as the church spread far and wide, we see that believers in faraway places continued to meet each first day of the week for the express purpose of Breaking Bread (Acts 20:7). Yet, in the earliest days, and in the height of the revival brought about by the outpouring of the Holy Spirit at Pentecost, while the Christians were concentrated together in close geographical proximity, this Breaking of Bread took place daily. So, what we see in Acts isn’t simply weekly Communion, but very frequent Communion – at the very least weekly, but in some places daily. Granted, we don’t all live in very close proximity to the rest of our church, so daily Communion isn’t possible for most believers. But, where God has blessed us with such a privilege (like in my situation, in a theological college), then to make the most of it by celebrating the Lord’s Supper each day is a good and biblical thing to do. But, not only is there a biblical precedent in the book of Acts, but it’s also something which, biblically, we’re taught to pray for every day! Have you ever noticed how in the Lord’s Prayer, when we pray ‘give us this day our daily bread’, we seem to be asking for the same thing twice: ‘daily’ and ‘this day’? What’s all that about? The word we translate as daily is found only here in the whole New Testament. The word ‘daily’, of course, does occur in other places in the New Testament, but it’s always a different Greek word. The ancient church fathers (most of whom spoke Greek as their native language) understood this strange word in the Lord’s Prayer as a reference to the Lord’s Supper. Why? Because the closest English equivalent we have to the Greek word in the prayer is either (depending on whether you follow the ancient fathers or current New Testament scholars) either ‘supernatural’ or ‘for the future’. And there is a bread which is both supernatural and eschatological: Jesus, the living Bread of Heaven. So, in the Lord’s Prayer, we’re not just praying for material provision for our daily needs, but we’re also praying to receive Jesus ‘this day’, the true supernatural Bread for the future. And in the Lord’s Supper, we receive ‘this day’ a ‘participation’ (1 Cor. 10:16) in this ‘true food’ (Jn 6:55). Granted, we can also receive Christ each day in His Word. But why wouldn’t we want to receive Him as He meets with us in bread and wine at His Table each day as well if we can? So, there’s a biblical precedent for daily Communion, and a biblical prayer – the Lord’s Prayer in fact – which points us to the goodness of meeting with Christ each day in the bread of the Lord’s Table. These aren’t commands; we’re not obliged to break bread daily. But they do show us that a daily Communion isn’t an eccentric oddity, but a good and biblical feast. And now that we’ve established that, let’s go on next time and think about some of what Wesley called, ‘the benefits [which] are so great’ of this daily encounter with Christ at His Table, which encourage us all the more frequently to come and feast with Him, our living Lord. Today is the fourth day of Christmas, which means it’s the day on which we traditionally remember the bit of the Christmas story everyone wants to forget. 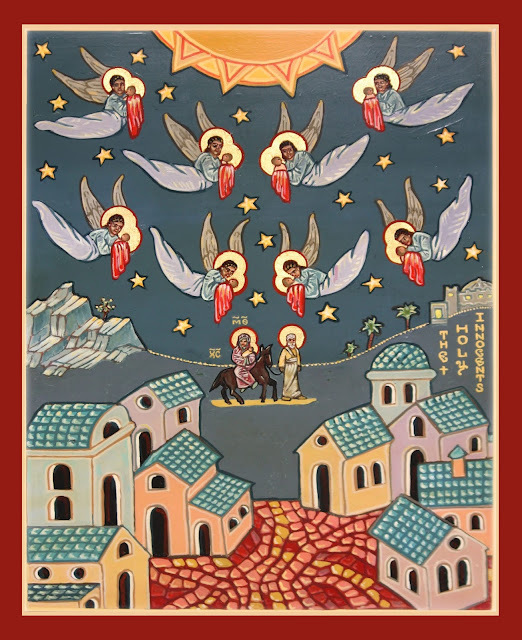 For the 4th day of Christmas is Holy Innocents day, a day when the church remembers Herod’s slaughter of the baby boys of Bethlehem in his bloodthirsty attempt to get rid of the One who was born King of the Jews, and secure Jesus’ throne for himself (Matthew 2:16-18). When the wise men came to Herod asking about the One born King of the Jews, Herod knew exactly what they meant, for ‘he was troubled, and all Jerusalem with him’ (Mt 2:3). We can see that he knew God’s Word about the coming King, because he knew to ask the chief priests and scribes ‘where the Christ was to be born’ (Mt 2:4). Herod’s sin lay in His reaction to this Word of the Lord. How? Well, what is sin? Sin is the opposite of faith: it’s not trusting in Christ and His Word. And all of Herod’s actions in the rest of the passage are driven by His opposition to the Word of the Lord! Herod wants to destroy the Incarnate Word (Mt 2.12-13). Not only does he refuse to acknowledge Christ the newborn King, but he wants to make sure no one else can either. And so he sets out to kill the child! He raises his rebellious hand against the Word of the Lord with its good news of the coming of the Saviour from sin. He would rather extinguish the Light, and keep the world plunged in darkness, than humble himself to bow before the Incarnate God. But the Lord sends His angel to warn Joseph and protect the family from Herod’s pride. And so Herod slaughters the babies, because He fears the truth of God’s Word. Herod’s slaughter of the children of Bethlehem is the Dragon lashing out against Jesus (Rev. 12:1-5). This was a devastating strike of the Dragon’s tail. This was the work of Herod in his determination to undo God’s promise of salvation by killing the Saviour so He could keep the throne for himself. And this is the work of the Dragon, Satan, who, when He can’t destroy Christ, lashes out at those near to Christ. But where was God as the Dragon struck? Where was God as the innocent children of Bethlehem were killed and families devastated? He was there. He was there in the flesh, fleeing as a refugee to Egypt. And ultimately, He was there in the flesh heading for the Cross, where, like those boys of Bethlehem, He would be murdered. For He has entered fully into our pain and sorrow. The Father knows just what it’s like to see His Son unjustly killed. And the Cross truly would be a slaughter of the innocent. For on the Cross, the Innocent would die for the guilty. Holy Innocents’ Day, on the 4th Day of Christmas, reminds us that Christ has come, not for the non-existent people of the TV ads with their perfect, stress-free Christmases. No, Jesus has come down to us in the midst of the true pain and suffering of this life. Jesus has come down for those whose lives are falling apart. And He didn’t come to offer an explanation or a coping mechanism. Much better, Jesus entered into the fullness of our humanity with all its sufferings and sorrows for all those who suffer and sorrow, so that through His suffering and sorrows for us, He can ultimately wipe away every tear from our eyes. The last few weeks have been filled with farewells. Three assemblies have now sung ‘God be with you till we meet again.’ Overnight I went from being the Minister of Word and Sacrament of a specific local church to a pastor without the pastoral responsibility of a particular assembly. Now that my former assembly responsibilities are gone, that’s made me think about what my responsibility is now. You see, I come from a tradition where being a pastor (or an ordained teacher as well in my case) isn’t just a temporary function or job. When you’re ordained as a pastor, you then ‘are’ a pastor. So, I need to think about what my responsibilities are as a pastor without the responsibility of an assembly. But how? Well, my solution was to get out my Ministers’ Manual (which is basically our liturgy book) and re-read and reflect on my ordination vows. A vow is a promise, and so it should be remembered and kept. We’d be amazed if anyone forgot their wedding vows! And an ordination vow is just as solemn a promise before God. So, if I’m to be a faithful pastor and teacher while I don’t have the responsibility of a local assembly, I need to remember and keep my ordination vows. 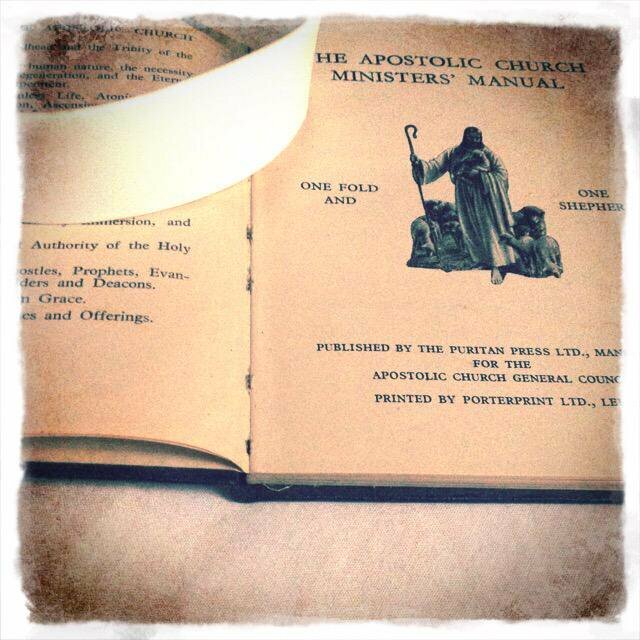 At the centre of the ordination vow taken by ministers in the Apostolic Church stands a promise always to trust in the Holy Scriptures as ‘our sufficient and final authority in all matters of doctrine and practice’ and so always to ‘develop your ministry in accordance’ with this sufficiency and supreme authority of Scripture. 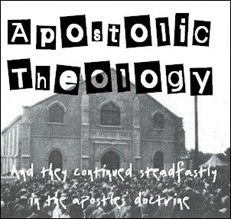 Before promising my fidelity to ‘the fundamental doctrines of the Christian faith as contained in the Tenets of this Church’ or that I would maintain its ‘worship, discipline and government,’ I (and all other Apostolic ministers) promised that my ministry would always rely upon the sufficiency and authority of Scripture. So, for the last few days I haven’t been the pastor of an assembly. Yet I have spoken to a number of people about the Christian faith, and sat with people answering many questions about the Bible and the Christian life. I haven’t done it as ‘their’ pastor, but a have done it as ‘a’ pastor and teacher (for that is what I am). And so, again and again, in response to all sorts of questions about ethics, prayer, doctrine, the Christian life, and church practice, I’ve taken people back to the Bible to see what it says – pointing people again and again to the authority and sufficiency of Scripture. I don’t do that merely out of duty because I’m a pastor; I do it because I trust in Scripture’s sufficiency and authority as the Word of God. But if I weren’t to do that, I wouldn’t be keeping the promise of my ordination vow. So, how can I, as a pastor without an assembly be a faithful pastor? By keeping my promise, and so bringing people to the green pastures of God’s Word: pointing them not to me and my words or actions, but to the sufficient Word which God has spoken. A.W. Tozer’s name is well-known by Evangelicals around the world today. Yet, Tozer wasn’t a celebrity pastor, constantly making the rounds of the conference circuit. First and foremost, Tozer was a man who loved to spend time with God in prayer and meditation. And he was a man who believed strongly in the importance of unceasing prayer. Tozer explained what it means to pray without ceasing by drawing on definition from Dr Max Reich: ‘Praying without ceasing [is] a continual, humble communion with God, day and night, under all circumstances, the pouring out of my heart to God in continual unbroken fellowship.’ (from Tozer’s article ‘The Church is on a Stormy Sea’, in Faith Beyond Reason). Tozer explains that such silent prayer in holy wonder before the Lord is connected to meditation on the Scriptures, for it is ‘long periods of Bible meditation [which] will purify our gaze and direct it’ (The Pursuit of God, pp.99-10). Through such prayer and meditation, believers can receive ‘the inward habit of beholding God. A new set of eyes (so to speak) will develop within us enabling us to be looking at God while our outward eyes are seeing the scenes of this passing world’ (ibid, p.100). For Tozer, to pray without ceasing means that ‘prayer at its best is the expression of the total life’ (The Root of the Righteous, p.97). Yet such a life isn’t possible by our great efforts, but only through the grace of the Holy Spirit. ‘Such prayer can only be the result of a life lived in the Spirit’ (ibid). The possibility and power for such a life of unceasing prayer are found only through the cross of Christ. As Tozer tells us, it is only ‘the redemption in Christ Jesus’ which has such ‘power to enable us to live in a state of purity and love where our whole life will be a prayer,’ and, as a result, the ‘individual acts of prayer which spring out of that kind of total living will have about them a wondrous power’ (ibid, p.99). O the Great Eternal Purpose is a hymn about the Three-in-One God and His Covenant of Redemption. It starts off with this "covenant to save" made "long before the birth of time" and goes from there to the Incarnation of the Word Divine, and the work of the outpoured Holy Spirit who lifts our eyes to Christ, taking in Christ's reconciling work and crushing of the Serpent beneath His feet through His death on the cross, ending with the worship of "blood-bought saints from every nation" in heaven. Which our Triune God does provide. For our Jesus calls us His own! On which all sinners can depend. The purpose begun before time. We’ll sing of the God of the Cross. Made a Covenant to save. Here transfigures Bread and Wine. Reconciled us as He died. 4. Christ, the Head of all the Powers! Christ, the Conqueror of hell! In Him all God’s Fullness dwells. There is no Christian who does not have time to pray without ceasing. But I mean the spiritual praying, that is: no one is so heavily burdened with his labor, but that if he will he can, while working, speak with God in his heart, lay before Him his need and that of other men, ask for help, make petition, and in all this exercise and strengthen his faith. This is what the Lord means, Luke xviii, when He says, "Men ought always to pray, and never cease," although in Matthew vi. He forbids the use of much speaking and long prayers, because of which He rebukes the hypocrites; not because the lengthy prayer of the lips is evil, but because it is not that true prayer which can be made at all times, and without the inner prayer of faith is nothing. For we must also practise the outward prayer in its proper time, especially in the [Lord's Supper], as this Commandment requires, and wherever it is helpful to the inner prayer and faith, whether in the house or in the field, in this work or in that; of which we have no time now to speak more. For this belongs to the Lord's Prayer, in which all petitions and spoken prayer are summed up in brief words. 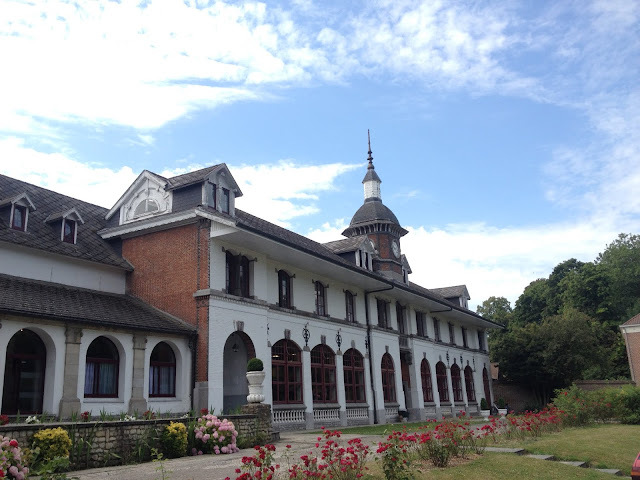 CTS, where EPTA was held this year. The most obvious commonality is that both are academic conferences. Yet, both are also academic conferences hosted by confessional associations, and so they’re largely (though not exclusively) evangelical affairs. Most attendees are practicing Christians, and so both conferences include daily prayers as well as the academic papers. Both also attract people working in academia as well as those working in church settings, and so, it’s a time of the academy serving the church, but also a time for those working in the academy to spend time talking with, learning from, and being challenged by those whose ministry takes place in local congregations as we talk over meals and coffee. So, for example, at Tyndale, I spent one evening with a Brethren New Testament scholar from the United States and an English Anglo-Catholic priest, from which I’ve come away with much to think about in terms of church ministry, including multi-cultural integration in church life, making disciples in contemporary western inner city environments with high levels of deprivation and functional illiteracy, and lovingly addressing problematic disruptions in church services. Over the last evening meal at EPTA, I learnt from the experience of Canadian and Scandinavian Pentecostals about the challenges facing Pentecostal congregations in their parts of the world in passing on Pentecostal distinctives, such as the place of the baptism and gifts of the Holy Spirit, to a new generation. So, while both conferences provided lots of intellectual stimulation, they also both helped me to think about issues in church life as well. As I’ve said, at both conferences we prayed together, yet that was probably also one of the big differences as well. Tyndale began each morning with morning prayer. EPTA began and ended the conference, as well as beginning each day with times of worship, prayer, and reflection on Scripture, but prayer wasn’t confined to those times. The chairs prayed for each presenter before they gave their papers, and sometimes papers led to people huddled in a corner praying together afterwards. The last night, some friends and I sat on talking and praying together until midnight, in a large part due to what, in good Pentecostal language, I would describe as the anointing of the Holy Spirit on an academic paper. Perhaps that’s simply due to some cultural differences between Pentecostals and wider evangelicalism, but it just gave a different feel to each of the conferences. Tyndale felt like a scholarly gathering of Christians. EPTA felt like a Christian gathering of scholars. Both of those are good things: they’re just a bit different, that’s all. EPTA also felt much more multi-cultural. While there were some scholars from other parts of the world, Tyndale seemed more dominated by the British and Americans. EPTA, on the other hand, had a good mixture of people from about 15 different countries (and at least 5 continents were represented). Hopefully I’ve persuaded you by now that going to a conference is about much, much more than giving a paper, but it is true that I happened to give a paper both at Tyndale and at EPTA this year. My Tyndale paper looked at Veli-Matti Kärkkäinen’s ideas about justification and theosis. Kärkkäinen has previously argued that an investigation of early Pentecostal sources could provide a finding that would support his concept of justification as theosis. So, I compared his views to early British Pentecostal accounts of theosis and justification, and concluded that they don’t really do what he would like them to have done. 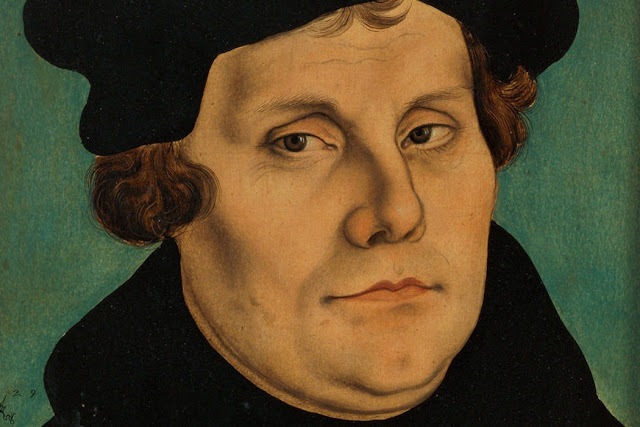 Yes please, they say, to theosis; but, only if they can hold onto a robust doctrine of the imputation of Christs’ righteousness, sola gratia, sola fide. Their ideas about theosis would, however, help with Kärkkäinen’s desire to see a robust engagement of the themes of Spirit baptism and charismatic empowerment in systematic theology. As soon as the theme for EPTA this year was announced at last year’s conference, I knew I wanted to write a paper on Pentecostals, Holiness, and the Breaking of Bread. 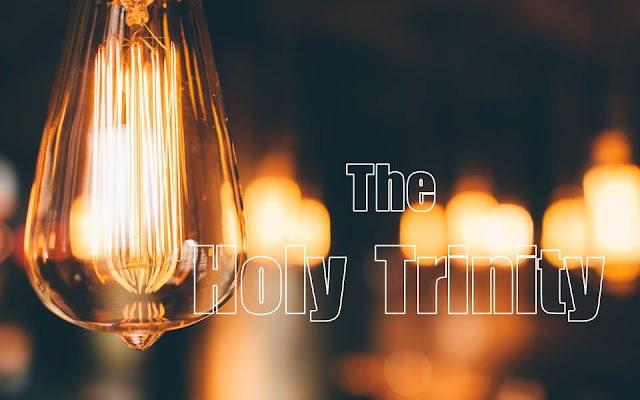 So, starting with the words ‘Holiness to the Lord’ (which are so often engraved upon British Pentecostal chalices and patens, embroidered on the cloth and veil for the Communion Table, and even sometimes engraved on the Table itself), I had a look at how holiness is both proclaimed and offered in the Breaking of Bread, through the encounter in the sacrament with the presence of the crucified and risen Saviour. It was strange, because I ended up giving the paper in the same room in which I had given my very first conference paper a decade ago, also on the Breaking of Bread. Both the Tyndale Fellowship Conference and EPTA were stimulating, well-organised, and encouraging times. (And I’d really like to thank all those who put in so much work to organise them and keep things running smoothly.) 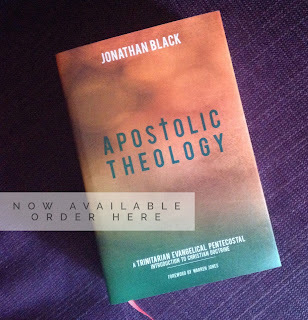 I’m really looking forward to next year’s events, and, for anyone involved in academic theology, I’d really encourage you to think about it too. Don’t worry, you don’t need to be a long-standing professor with billions of publications to enjoy these conferences. There were Master’s level students in attendance at both (and, in fact, one of the best papers I heard between the two conferences was delivered by a rather nervous Master’s student attending his first ever conference!) So, whether you’re a long-established scholar, a nervous new MA student, or a pastor who has been out of college for quite a while, but would like to reengage with some serious and critical thinking, why not come along next year to either Tyndale or EPTA? Christ teaches us to pray by showing us how He does it, by doing it in us, and by leading us to do it in Him and like Him. Christ is everything – the life and the strength – for a never-ceasing prayer life. Seeing Christ’s continuous praying as our life enables us to pray without ceasing. Next time we'll see what Martin Luther had to say.